^ "Sheffield Wednesday: Work continues on Desso pitch". Sheffield Star. 26 May 2015. 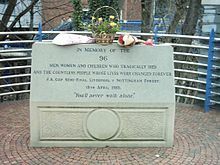 Wikimedia Commons has media related to Hillsborough Stadium.